Jelly Jamm is an animation series for 4-7 year olds, produced in Spain and broadcast in the UK on Channel 5 Milkshake and over 180 countries worldwide. Jelly Jamm can also be watched on Youtube which is fab if you are a busy family on the go. Jelly Jamm is funny, educational and has great music. Jelly Jamm launched a new soft toy range in the UK earlier this year. In the new soft toy range there are 7 mini plushes at £7.99. Entertainer, some other independent retailers and from Amazon..
For more information about Jelly Jamm, please visit the website www.jellyjamm.com. 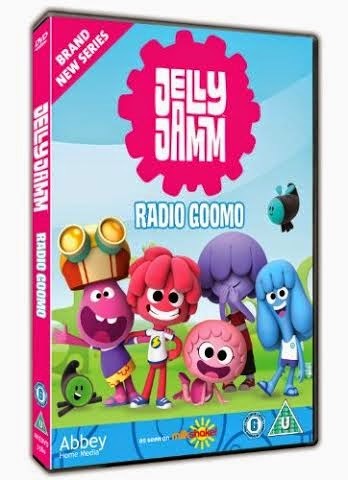 This Christmas Mummy To The Max has teamed up with Jelly Jamm to offer one lucky reader the chance to win a set of 4 mini plushes (Bello, Rita, Goomo and Mina) and a Radio Goomo DVD. To enter all you simply need to do is enter the simple rafflecopter below.